(Natural News) The problem of plastic pollution in the oceans is no longer a myth, but a reality that is getting increasingly harder to ignore — especially now that the World Economic Forum (WEF) has said that the amount of plastics in the ocean will outweigh the amount of fish in the foreseeable future. In a report entitled The New Plastics Economy: Rethinking the future of plastics, WEF noted that at least eight million tons of plastic go into the ocean every year; a rate that will only rise exponentially if action is not taken. Combined with a rapidly depleting fish population, the forecast is catastrophic. According to WEF, at the rate that plastic is being dumped in the ocean, plastics could outweigh fish by the year 2050. The report also noted that plastic packaging accounts for majority of the plastic being leaked into the ocean. According to the report, plastics can remain in the ocean for hundreds of years in their original form, and even more as they break down into smaller particles. It said that there are over 150 million tons of plastic in the ocean today, accumulated over the years. Citing a separate report, it said that even with efforts to reduce the amount of plastics ending up in oceans, the volume already in the waters will continue to increase until such efforts are supported by systemic solutions for long term. It also noted that the damage that plastics cause on marine life amounts to $13 billion annually. The economic cost does not even account for plastics’ effect on health, livelihood, and food supply. 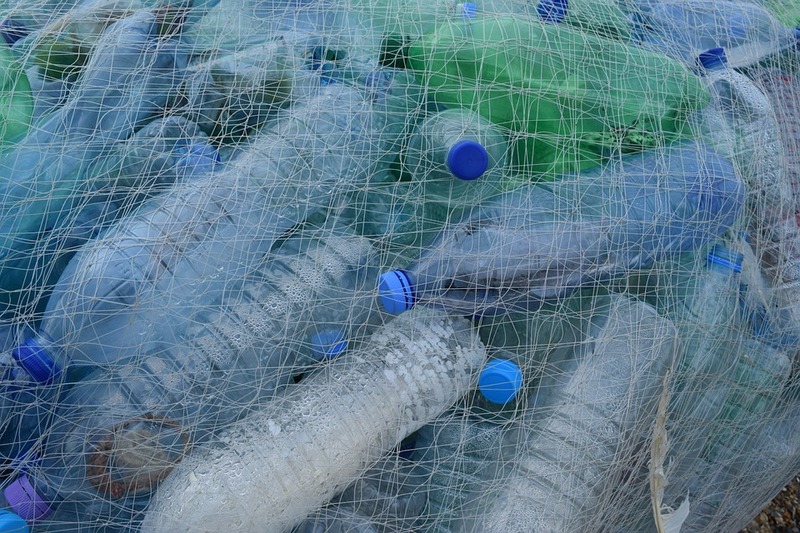 The report proposed new ways of dealing with plastic, suggesting the creation of “an effective after-use plastics economy.” Doing so involved improving the uptake of recycling, reusing, and controlled biodegredation. It also suggested a drastic reduction in plastic leakage into natural systems, particularly, the ocean, and removing the use of plastic as a fossil feedstock. Taking these measures may help the world catch up to the plastic plague before it’s too late — though that point seems to inch closer and closer as each day passes. For instance, an earlier article reported that the Arctic has recently been found by scientists to contain over 300 billion pieces of plastic; a troubling discovery considering that the region was considered by many to be one of the remaining few untouched frontiers. Scientists said that despite being at a considerable distance from pollution sources, current systems have carried plastic waste to the region, showing just how dangerously widespread plastic pollution can be. Plastics have also been found to be bad for the health as much as for the environment. According to EcologyCenter.org, plastics contain toxic chemicals and carcinogens, and have been found to lead to disruptions in the endocrine systems resulting in a variety of cancers, birth defects, immune system impairment, and developmental problems. Plastics are obviously harmful when people are exposed to them during manufacturing, but they are also as dangerous when they are used in everyday life, such as for packaging or storage. Most commonly, chemicals from plastic contaminate food. For instance, BPA, commonly found in water bottles can lead to a host of health problems, including cancer, a compromised immune system, premature puberty, obesity, diabetes, and hyperactivity. At the same time, polyvinyl chloride (PVC), which is commonly found in food packaging and plastic wrap as well as pacifiers and toys, can result in birth defects, genetic changes, chronic bronchitis, liver failure, and skin disease, among others. Polystyrene, which is a common material used for food containers, has been known to cause irritation in the eyes, nose, and throat, as well as dizziness and unconsciousness. And these are just a few of the different types of plastic people are exposed to on a daily basis. Ecologycenter.org recommended avoiding plastic whenever possible. Specifically, they recommended avoiding containers that have BPA and favoring glass or metal food containers instead. Heating or storing food in plastic containers — especially fatty food — should also be avoided. Plastic teethers or toys should not be given to children. At the same time, PVC and styrene products should be avoided, and natural fibers in clothing and bedding should be favored.